Warner Bros just unveiled the trailer for its upcoming "The Intern" drama/comedy, starring Robert De Niro, Anne Hathaway, Rene Russo, Anders Holm, and Nat Wolff. Check it out below. Plot: The story focuses on Ben Whittaker (De Niro), a 70-year-old widower who has discovered that retirement isn't all it's cracked up to be. Seizing an opportunity to get back in the game, he becomes a senior intern at an online fashion site, founded and run by Jules Ostin (Hathaway). The new movie is written and directed by Nancy Meyers (Something's Gotta Give, It's Complicated) and is set to hit theaters on September 25th. Doesn't look funny to me. Rob's comedic schtick of making stupid faces is getting old like him. Oh yes, a rom-com starring Deniro, because nothing says enjoyable like a seventy year-old has been looking for love and helped by the untalented chick who helped ruin The Dark Knight Rises. It'll be good to see how the centuries, and gravity, have worked their magic on Russo, though. ^was it ? I couldn't see...there was this fat shadow hiding half of image most of the time...Brando something ? but seriously 'the score' was meh...old school heist movie with a nice twist or two and a great performance by Norton (another wasted career) but overall it was forgettable. Ronin sucked because the entire time they're fighting over this stupid MacGuffin you never even see. Movie ultimately had no damned point. 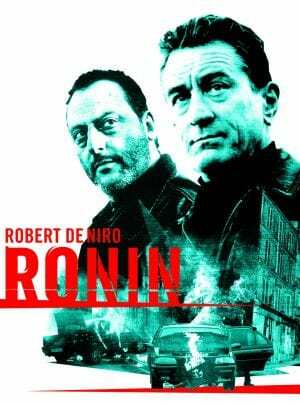 Ronin was also redeemed by a great cast and also being the last good movie that John Frankenheimer directed. Bobbi, Bobbi, Bobbi, you have been a bad monkey!! Killer Elite from 2011 with Statham and Clive Owen was decent. ^ agree, but DeNiro was mostly filling..
Feel it was Stathams movie ! Frankenheimer directed an episode of BMW films with Clive Owen. IIRC it was an excellent short. The one Tony Scott did with James Brown and Gary Oldman was solid gold. I can't remember the name of those f*cking short films.